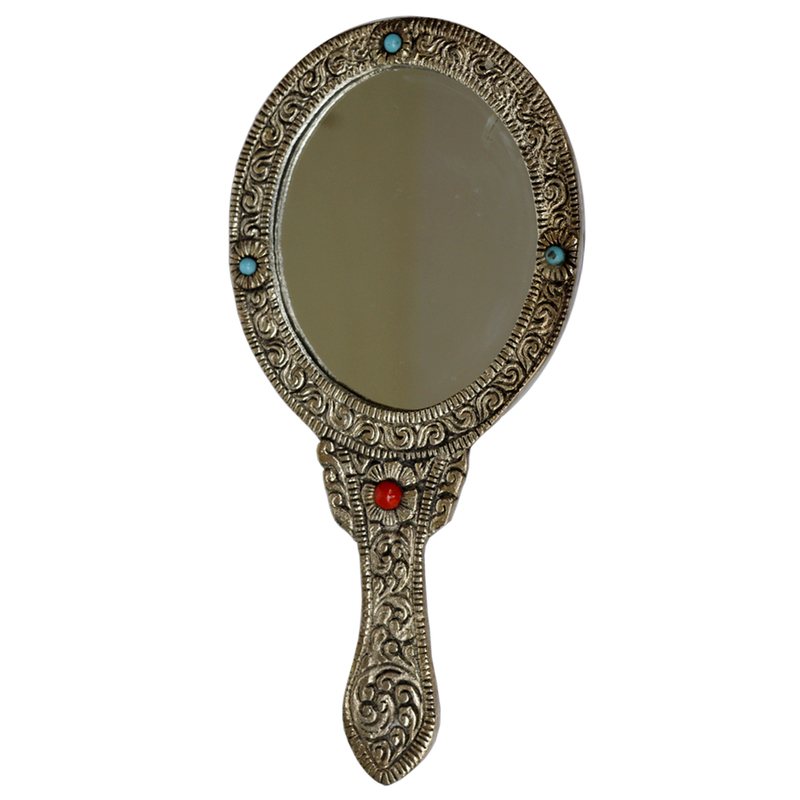 This Oval Shaped Ornate Hand Mirror in Oxidized Metal is sure to attract buyers looking to make their house interior a more stylish place by Read More..including the most aesthetically pleasing of items for everyday use. The intricate carvings on the body of this metallic mirror, along with the red bead embedded just below the oval shaped mirror face makes this item a delight to behold. Therefore, it is bound to find favor among lovers of such intricately beautiful pieces. Show Less..